Bulgarian folkmusic is famous for its many fast and rhytmically challenging melodies, which is one of the big reasons why I am in love with this tradition – I love playing fast and odd meter tunes! But what originally made me fall for Bulgarian folkmusic was actually the many beautiful slow melodies, often sung by women, with emotions hitting right through the heart of the listener. My hopes for this course is that we will both play a lot of fast, cool tunes but as well find time for the small intervalls and strong singing tradition. 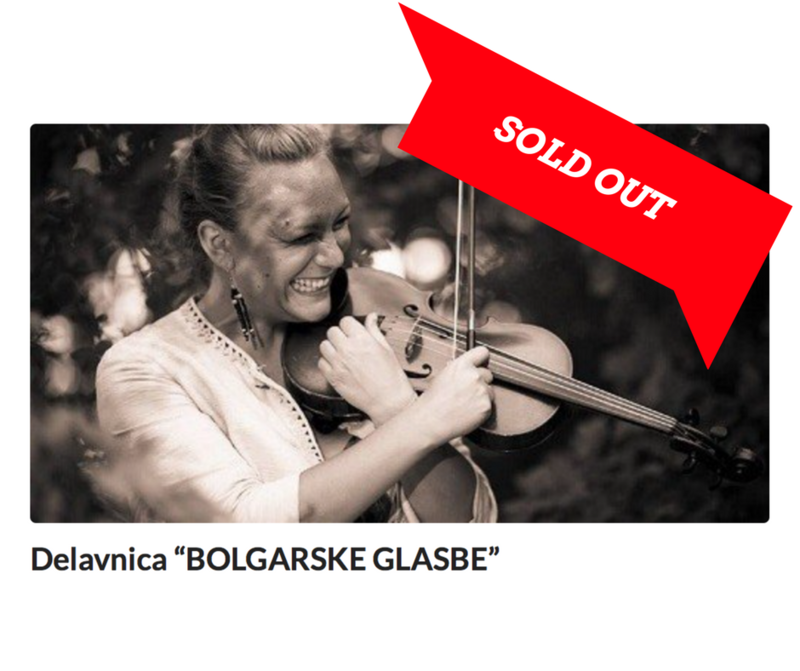 https://godalkanje.org/wp-content/uploads/2017/01/SOLD-OUT.png 788 940 Bojan Cvetreznik https://godalkanje.org/wp-content/uploads/2014/05/godalkanjelogo.png Bojan Cvetreznik2017-01-09 12:21:122017-05-19 10:13:24Delavnica "BOLGARSKE GLASBE"